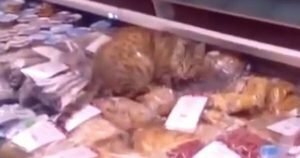 Russian stray cat breaks into a seafood restaurant and helps herself to $1,000 in seafood. The story went viral and now she's famous and has a new home. 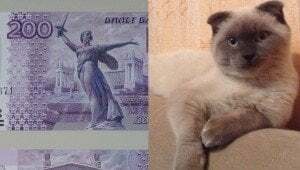 Barsik, the cat who won an unofficial online vote for mayor of a Russian city, is now campaigning to have his face on the new Russian bank notes.